Day by day, TV screens are getting flatter and the sound is getting 'not better' (I mean, worse). Fortunately, we have soundbars that are happily volunteering for the purpose of giving us the sound experience we want but can't get from our amazing looking, good visual giving television sets (pathetic)! So, here we are. You need suggestion for a good soundbar. Okay. But, wait, you have other criteria for that, you want a good soundbar under hundred bucks! Well, glad that you clicked here! Because we have listed ten of the best 2018 soundbars and guess what, they cost not more than hundred! I recommend you to check the list right now! Oh, by the way, before heading towards the list, don't forget to check the necessary facts that will be equally helpful for your purchase! Basically anybody can use a soundbar, but it's most popularly required for enhancing the television sound. So, I guess, since now you already have a good idea on the purchase of a soundbar, it's time to hop into the reviews. Well, it's pretty complicated to make a good combination of the budget and quality, but don't you worry, we sorted out some of the best soundbar under 100 for you and we're confident you'll find exactly what you're looking for... or perhaps the better. It'd be considered a major blunder if I tried to make a list of soundbar under 100 without mentioning this name. 'Cause Richsound Research (RSR) TB220L 32-inch 2.0 Channel Soundbar is literally one of the top quality soundbars out there that don't cost more than hundred bucks and feature a Bluetooth connection. So, let's dig in the box. 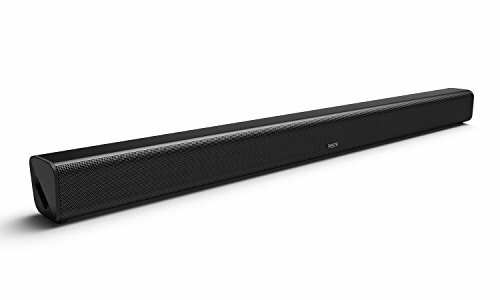 This TB220L soundbar is a 2.0 channel soundbar that includes 30 watt peak power output. 30 watts of peak power enhances the sound quality to a high level for the best room-filling experience. This soundbar is originally designed to boost your TV's audio quality, so the contribution is evident in both its appearance and construction. It follows a modern sleek design to not look awkward with your edgy HDTV. Richsound Research (RSR) TB220L 32-inch 2.0 Channel Soundbar comes with wall-mounting advantage, in case you're not willing to use the TV stand right now. More connectivity options make it convenient for versatile use. Auxiliary and optical - both options are available in the soundbar. 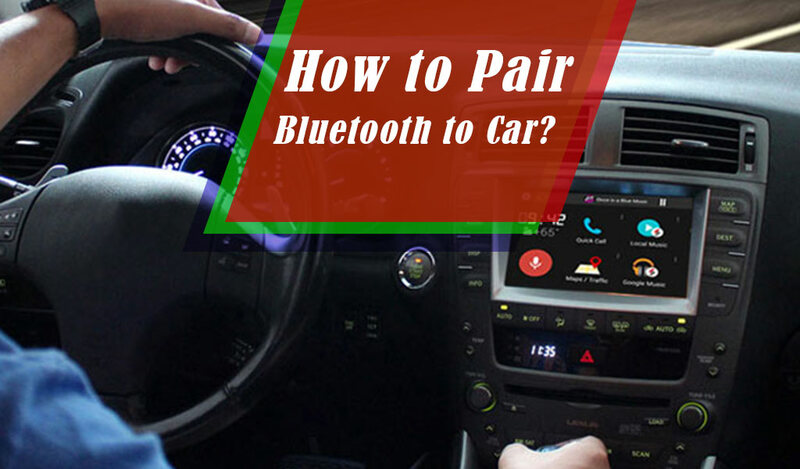 What makes it more interesting is the addition of Bluetooth system. Now you can listen to your favorite music from any Bluetooth enabled device or smartphone. Richsound Research (RSR) TB220L 32-inch 2.0 Channel Soundbar comes with a power cord, an optical cable, an AUX cable, wall mounting kit, guide and a remote control. 12 months manufacturer warranty is included for one year servicing. So, legitimately it's a stylish soundbar that's a sleek 'n edgy attribute to your home theater system and its wireless connectivity features make it compatible with all sorts of device, and you can bag it all under a hundred dollar bill! Both wired and wireless connections are available which makes the soundbar versatile and compatible with all types of audio device. You can place it on a stand or you can mount it on the wall. Peak power is great for filling a large room with decent sound. MHHDAL 40 Watt TV Sound Bar Wireless Bluetooth Speaker definitely has to be mentioned here! This soundbar is a 2.0 channel soundbar that works with 40 watts of peak power. The wattage supplies profound bass in a large basis. Quality and style at its best. This soundbar is constructed with a complete speaker system so no extra sound supplying requirement is needed. The mirror piano painted outlook brings a classy attitude to your home audio system. The best thing about this soundbar is, the soundbar doesn't come alone. When you're looking for something under hundred bucks, generally you don't expect much. But surprisingly, MHHDAL 40 Watt TV Sound Bar Wireless Bluetooth Speaker offers a subwoofer with the package, which makes it one of the rarest soundbars out there that are excellent choice for bass along with treble and mid-ranges. Like the most modern soundbars, MHHDAL 40 Watt TV Sound Bar Wireless Bluetooth Speaker can be mounted on the wall. But if you wanna place it on a furniture surface, that's an appreciated option as well. It says in the name. Along with optical, coaxial and TF card connection, the soundbar works with a Bluetooth connection as well. So, your options are not limited to TV and wired players only. But remember, Bluetooth connection only works within 33 feet. 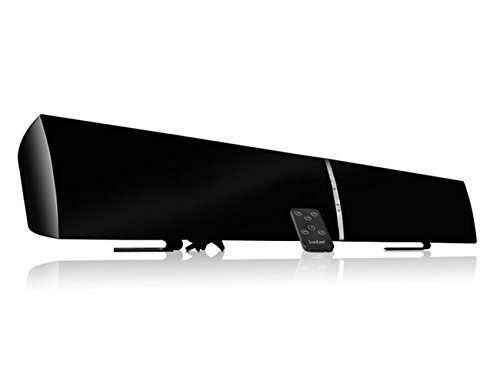 So, a cool mirror piano painted sleek soundbar with booming bass and satisfying Bluetooth feature that can be used anywhere - any legit reason to say it's not worth it? Bluetooth connection makes the speaker compatible with all sorts of devices. Since the Bluetooth connection range is within 33 feet, it's evident that the speaker can fill a large room with decent sound. One of the few soundbars with a subwoofer. Mid ranges can be low sometimes since it's mainly focused on the bass. Another Bluetooth enabled tremendous franchise under 100. LuguLake T180 TV Sound Bar Bluetooth Speaker is one of the most popular choices of 2017 and you'll certainly understand why if you look up its features. LuguLake T180 TV Sound Bar Bluetooth Speaker is 2.0 channel soundbar that works with 40 watts of peak power. A wise choice for enhancing the television sound. For ultimate sound experience, this soundbar features two tweeters and two three-inch full range drivers. For profound bass, you have to add a subwoofer though. It follows 20Hz to 20 kHz of low-frequency response to boost the television's sound. A 3d surround sound processor with DTS digital decoding is also included for better performance. The placement completely depends on you-you can either place it on the TV stand following the old tradition or save the space by mounting it on the wall. 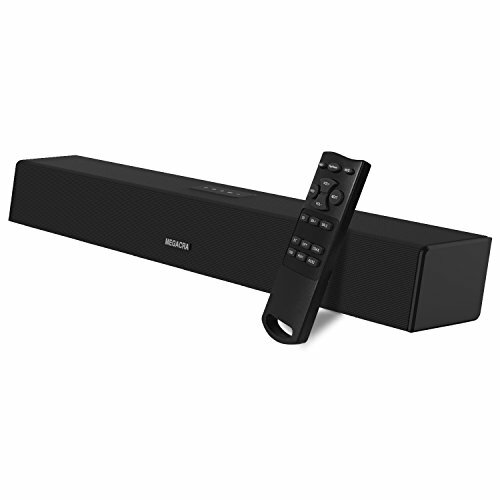 As it says in the name, the soundbar features a Bluetooth connection, so you can play audio files from any Bluetooth enabled audio device, the connection works within 33 feet. 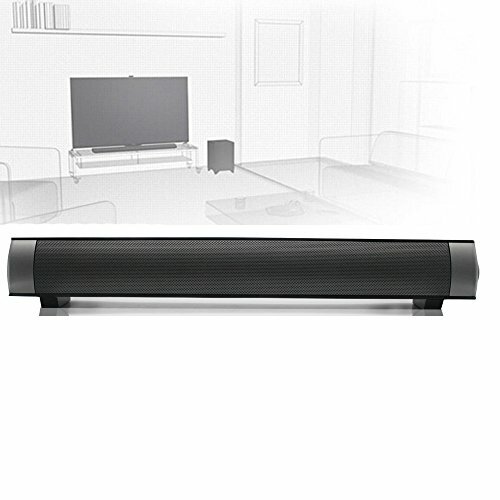 LuguLake T180 TV Sound Bar Bluetooth Speaker includes AUX, RCA and Subwoofer port too. So, you can surely understand by now why LuguLake T180 TV Sound Bar Bluetooth Speaker offers pretty much everything you can hope to have in your soundbar and it does that within such a low cost. No more tapping the switch again and again. You can control it from anywhere with the help of Bluetooth, smart panel or remote control. Separate drivers and tweeters help to distinguish treble and mid-ranges. Best choice for enhancing Television sound. Fragile materials, so has to be used with caution. You have to make a separate purchase for the subwoofer. We're talking about soundbar under 100 and not mentioning a VIZIO product, yeah, that can't happen. Because when you're hoping for a quality soundbar but have to limit your expectation in order to fit it within hundred bucks, VIZIO is one of those few companies that actually offers some pretty good franchises with decent features to bring you the best experience. Well, we're not talking about the design any further, because the sleek 'n edgy design begs no description. Goes with all types of home theater system and makes them more stylish. What actually needs mentioning, is the system. It's a 2.0 channel soundbar. The need of quality treble is completely fulfilled with its two stereo drivers. Bass module is included to supply the deep bass everybody craves for, so no need for an additional subwoofer. 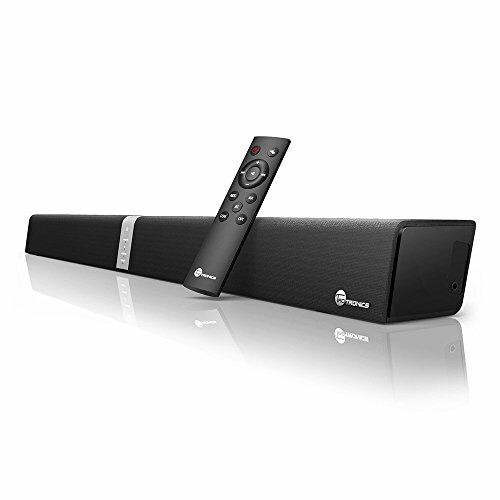 The soundbar delivers up to 100 dB which is capable of filling a large room with quality sound. VIZIO SB3820-C6 38-Inch 2.0 Channel Sound Bar is constructed with three premium audio technologies for the best performance: Dolby Digital, DTS TruSurround and DTS TruVolume. You can either place it on the TV stand or mount on the wall, choice is yours. Bluetooth connection is established for streaming convenience. Can be controlled with a remote control. To get the quality performance in a low cost, you can always rely on VIZIO products and VIZIO SB3820-C6 38-Inch 2.0 Channel Sound Bar is a good example for that. Since the system is installed with three premium sound technologies, the experience is bound to get better. Audio files can be streamed from smartphones and other Bluetooth enabled devices. 100 decibal of quality sound is capable to fill every nook and corner of a large room. The soundbar delivers both quality bass and treble. The wall mounting installation is difficult without proper skill. Doesn't feature much options for wired connection. Since it's the list of the best soundbar under 100, we have to include the name of Jensen JSBW-650 Wall-Mountable 2.1 Channel Bluetooth Soundbar Speaker with Built-In Subwoofer here. 'Cause, oh boy, have you seen the features? Jensen JSBW-650 Wall-Mountable 2.1 Channel Bluetooth Soundbar Speaker with Built-In Subwoofer is everything a standard soundbar should be and that's all under hundred bucks! It's a 2.1 channel soundbar, so you can already understand that it delivers much better bass than 2.0 channel soundbars. It has an additional subwoofer! This soundbar comes with three different placement options. You can mount it on the wall or just simply place it on the stand. What distinguishes it from other soundbars is the featured base. Attach the base to the bar to make it stand on its own on the floor. Though the soundbar includes AUX and RCA connection for wired devices, you can still listen to your favorite music from iPod or tab, thanks to the Bluetooth connection it features. A scanning FM receiver is included as well. Jensen JSBW-650 Wall-Mountable 2.1 Channel Bluetooth Soundbar Speaker includes side control panels for easy access control. You can control it with a remote control also. That's been said, Jensen JSBW-650 Wall-Mountable 2.1 Channel Bluetooth Soundbar Speaker with Built-In Subwoofer is indeed a winning deal if you consider all the advantages you're getting in such a short budget. It has a built-in subwoofer! Included templates and easy access connections helps with fast wall mounting. You don't need an additional subwoofer since the soundbar has its own built-in subwoofer. It's more advanced than 2.0 channel soundbars. 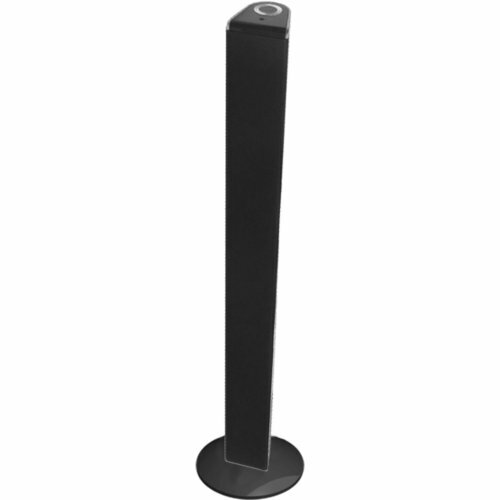 The soundbar features a base to stand on its own. The wall mounting is hard without the manual. Yes, I think, Sceptre SB80-PS SB 20 Inch Sound Bar should be enlisted here. Why? Let me tell you why. The soundbar's main attraction is its subwoofer. Yes, it comes with a built-in down-firing subwoofer. Well, don't worry, the design is different but it delivers exactly the same booming bass like traditional subwoofers. One of the dopiest soundbars to use with TV. It has different sound modes for different purposes. The soundbar takes the sound and radiates it differently for news, movie, music and game. So the treble and mid-ranges are always on point, no matter how high or low the pitch is. Sceptre SB80-PS SB 20 Inch Sound Bar comes with two placement options. You can place it anywhere on the top, or simply mount on the wall. It uses RCA, SPDIF and traditional stereo connections. For wireless streaming, Bluetooth connection is available. 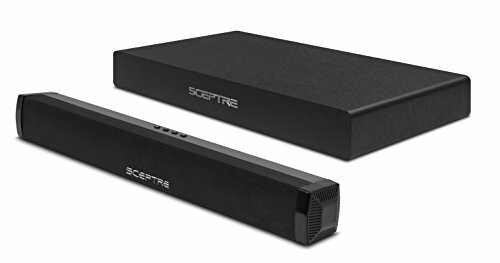 Sceptre SB80-PS SB 20 Inch SoundBar is a complete package within hundred bucks - style, sleek and classy outlook, good combination of treble and bass, wired and wireless connectivity, wall mounting advantage, it covers for all the standard requirements. A good investment indeed. Different types of shows required different combination of treble and mid-ranges. The soundbar's different sound modes give you the complete taste of that. Doesn't require a very particular space for placement. The bass is intact even though the construction is pretty not like the traditional one. All the drivers are packed in one place, so the sound can be distorted sometimes. A soundbar is a very important attribute to the home theater system. You gotta go for the quality one to get the best out of it. Speaking of quality and style, ELlight Bluetooth Small Sound Bar 3.0 Channel 15.7in 10W (2X5W) Wireless Subwoofer Stereo Speaker is a pretty potential candidate. 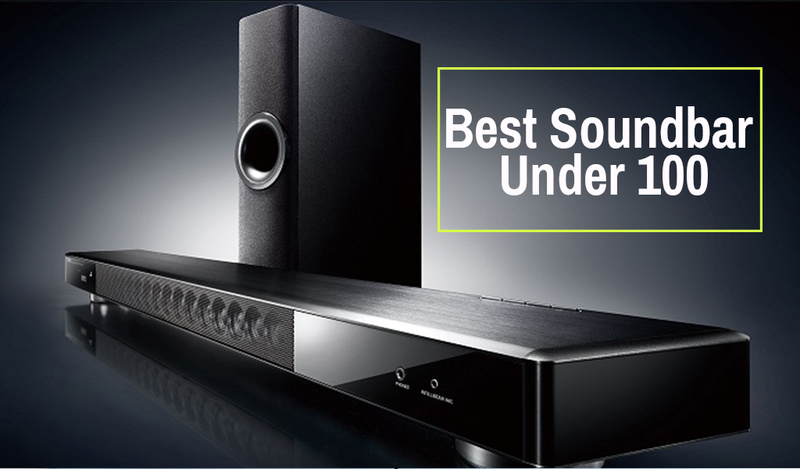 It also meets the criteria of the best soundbar under 100. ELlight Bluetooth Small Sound Bar 3.0 Channel 15.7in 10W (2X5W) Wireless Subwoofer Stereo Speaker is a 3.0 channel soundbar which explains a lot about its sound delivery quality. With three drivers, the notes are more distinguished and clearer. And you know, when you're playing it with TV, clearer the frequency, merrier the experience. It's a Bluetooth enabled soundbar. You can stream your favorite songs from a smartphone or any other Bluetooth enabled device and play them on the home theater system. The wireless system works within 33 feet/10 meter only. TF card mode is enabled. The soundbar uses AUX and RCA connection for wired activity. Your TV must have a 3.5 mm port for AUX or RCA connection, otherwise the cable won't fit. Well, the good combination of treble and bass, typical wired and wireless connection - all these features are quite obvious for a standard quality soundbar. The exception is the power. The soundbar works with battery. A chargeable lithium battery is included in it. The soundbar performs non-stop for six hours after one charging session. A USB cable is featured for charging. So, a stylish soundbar that's driven with 3 channel drivers, plays your favorite songs by wirelessly streaming and can be taken anywhere since plug-in isn't required - I don't see how it's not an appealing deal. Doesn't require a certain placement since it's not powered by plug-in. You can stream songs from a Bluetooth enabled device. Three channels deliver treble and mid-ranges spontaneously. You can't connect it to a TV unless it has a 3.5 mm AUX and RCA connection port. Most of the times, you have to be satisfied with basic attributes when you're purchasing a hundred bucks soundbar. But there are few times actually, the deal is pretty bigger than many other expensive soundbars. You can take MEGACRA Sound Bar Wired and Wireless Bluetooth Home Audio Speaker for example. MEGACRA Sound Bar Wired and Wireless Bluetooth Home Audio Speaker 2.0 channel soundbar that works with 40 watts of peak power. The soundbar features four speakers to reflect treble and mid-ranges separately, so distortion or sound blocking is no more a problem for this system. Two of them are full range drivers with 20Hz-20KHz frequency response. The other two are treble drivers with natural soft silk covered diaphragm. For booming bass performance, it includes two bass reflex tubes. 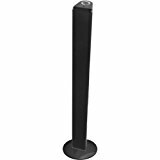 You can either mount it on the wall like most other soundbars or there's a Universal Soundbar Bracket that comes with the package, you can use it to place the bar under your television. To have the best TV watching experience, you need super clear sound and that's what the purpose of a soundbar is, to bring you exactly that experience. MEGACRA Sound Bar Wired and Wireless Bluetooth Home Audio Speaker uses DSP technology for sound clarity. It uses RCA, coaxial, optical and USB connections for wired connectivity options. Bluetooth is featured for wireless connection. "Boom boom" bass are enough to enjoy Eminem's beats, but for movies, news and sports, we need clear words. And when the both are possible with one soundbar, I don't see what can possibly go wrong. So, MEGACRA Sound Bar Wired and Wireless Bluetooth Home Audio Speaker anyone? Different drivers deliver distortion free sound. Silk dome makes audio sound more natural and moist. Gives you a lot of wired connectivity options. Comes with lifetime technical support. You may require an extra subwoofer to enhance the bass. Have to handle with extra care. I'm pretty sure you're not surprised to see another VIZIO soundbar in our top soundbar list. Because quality in amazingly low price - yeah, that's what VIZIO is mostly about. 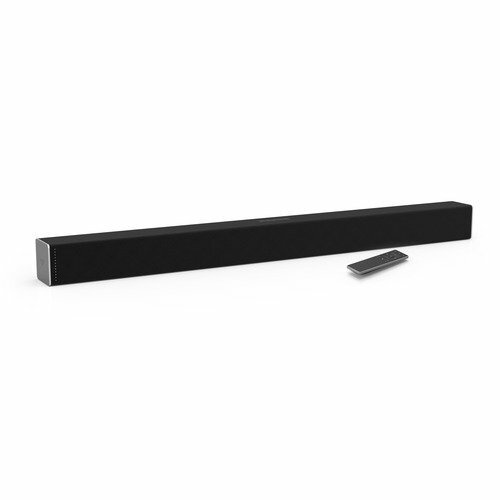 So, VIZIO SB2920-C6 29-Inch 2.0 Channel Sound Bar is a 2 channel soundbar. Two tweeters deliver excellent treble required to boost the television sound. For bass performance, it includes the company's patented bass modules. It delivers up to 95 dB of sound. Use of Dolby always means something revolutionary. For the best home theater experience, VIZIO SB2920-C6 29-Inch 2.0 Channel Sound Bar uses DTS TruSurround for the best sound surrounding experience and DTS TruVolume technology. You can place it on a TV stand or mount on the wall. Remote control is included for controlling the system. Bluetooth connection helps to stream your favorite songs from a Bluetooth enabled device. Well, nothing new to say here, it's a VIZIO soundbar for sound's sake. Obviously you're going to have a pleasant experience. Trust me, it's going to be a good investment. This is a good system for distinguished bass and treble. Delivers pretty decent sound with 95 dB rate. It delivers pretty solid bass without the help of a subwoofer. Features Dolby technology for quality surround and volume controlling options. TaoTronics may not be a pretty familiar name in soundbar business, but don't you worry. Just because a name is not popular 'yet', doesn't mean they can't offer something good. In fact, TaoTronics have some really good items that are much better than most popular soundbars. Besides, they're pretty cheap so you can actually bag a pretty good deal to be honest. Well, if you have a doubt, you can check out TaoTronics Sound Bar Wired and Wireless Bluetooth Audio Speaker's features for personal satisfaction. So what do we have here? 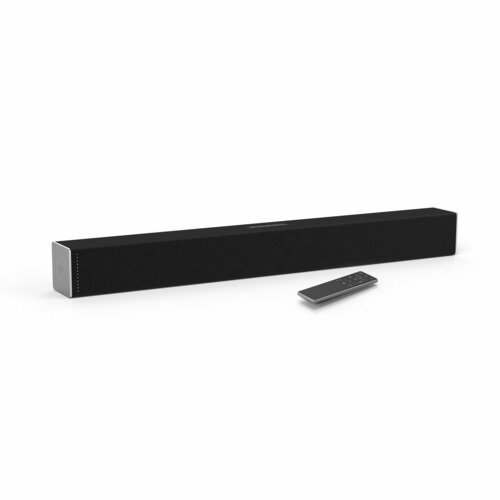 TaoTronics Sound Bar Wired and Wireless Bluetooth Audio Speaker is a 2.0 channel soundbar. However, its drivers are more to be described than to be known as 2 channel drivers only. Four full range high quality speakers are featured for smooth treble and mid-ranges. Bass is pretty ground-breaking groovy, thanks to the passive radiators. The black and sleek attire is capable of bringing the style to any room. And it's not just the design. The materials are pretty compact, so you can easily rely on its longevity in the years to come. The drivers' diaphragms are wrapped with soft cloth to bring the most natural sound. Well, the placement choice is totally up to you. You can mount it on the wall, place it on the stand - however you wish. Though the soundbar uses wired connection like coaxial, optical, AUX and RCA; music streaming through Bluetooth is still an option. A remote control is included even though the system features an individual control panel. So, if you consider this all, it's actually a pretty good deal, don't you think? It offers a good combination of treble and bass. Soft clothing diaphragms over the driver’s prone to deliver more natural sound. Multiple control and connection options. Can be affected by humidity easily. Well, nothing special to say about it. You came to this article looking for 'the best soundbar under 100", so it's pretty evident what your budget is. However the point is actually not about that, we're actually here to focus on this: what can you expect under hundred dollars? And, is it rational? Let's answer the last question first. It's hella rational! Sure you can buy a tremendous soundbar with great features and grand outlook with several hundred bucks. But this is not worth it always. No matter how carefully you use them, the inner mechanism of sound systems (not just a soundbar, same happens with stereo, speakers and headphones) is prone to be foiled this way or that way. Well, you can't actually blame the production method or manufacturers for that, these things are kinda sensitive due to their activity and materials. And, sometimes the atmosphere is responsible too. It's not the case always though, sometimes a soundbar can actually last for a surprising long time. But, hey, it's not true about the 'expensive' soundbars only, those cheap soundbars under hundred bucks can also last long. In fact, sometimes they last longer than the most expensive ones. So, why spending so many bucks on a thing that's not guaranteed to last long? And when you're getting pretty much the same service from the cheaper one? I think these questions are enough to answer your question. And now, back to the first question: What can you expect from it? Well, it's always true for everything out there: You get what you pay for. Surely you can't expect individual high quality drivers because their installation costs a lot. However, the state isn't that bad as it sounds. These soundbars won't be a good choice to surround a large room with booming sound or just to 'beat it' with your home theater system, but it's pretty much what you need for your television, so the price actually does a justice here. 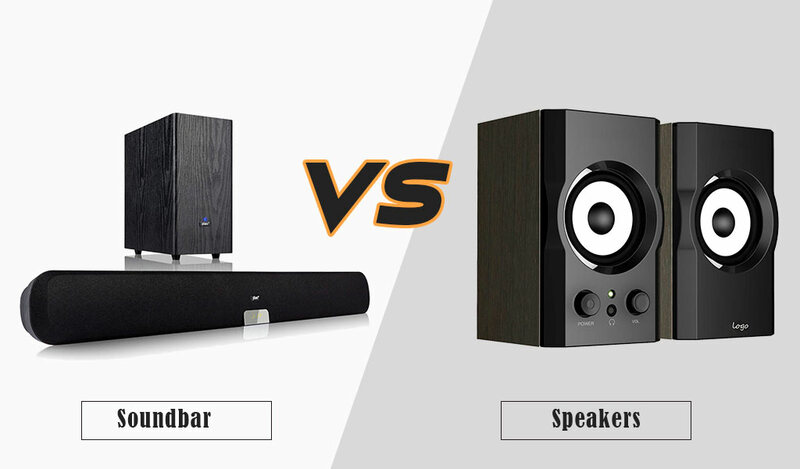 The choice firstly depends on the soundbar. Basically, there are rarely any modern soundbar that can't be mounted on a wall, but there are exceptions as well. It depends on the manufacturing. However, you should go for the one with wall-mounting templates. Sure, you can place all soundbars on a surface, but the wall mounting option gives you an opportunity of saving some space. Plus, you don't have to stress about a specific surface. Now, that's a very important thing that has to be checked. Since the soundbar is actually intended for television, the bar and the TV must have a similar cable port for connection. Same goes for the DVD player and other multimedia devices that require a plug-in. Before purchasing, check the connectivity options of your TV or other multimedia devices. Your targeted soundbar must feature the same option. Wireless connection isn't mandatory but keeping today's technology in mind, I suggest your soundbar should have wireless connection options. For instance, if your soundbar includes Bluetooth connection, it'll be able to stream audio files from Bluetooth enabled devices. You should have a good knowledge of these two terms. They say a lot about a soundbar. These terms depict what's inside the soundbar. So when you're looking at one, you actually get to know what that soundbar is capable of from these following terms. So, must have a good idea about them. First, you must know what you need it for. People use soundbars for various reasons. Find out your purpose, this will be helpful for sorting the attributes for you. Don't run after the big names. Sure, big names became popular because their products are pleasant, but that doesn't mean that the other companies are bad. Buy a soundbar buy judging it individually for its quality. Look for the drivers it comes with. Because you don't wanna end up buying the soundbar with strong bass when you're looking for the sharp treble for the sake of TV dialogues. 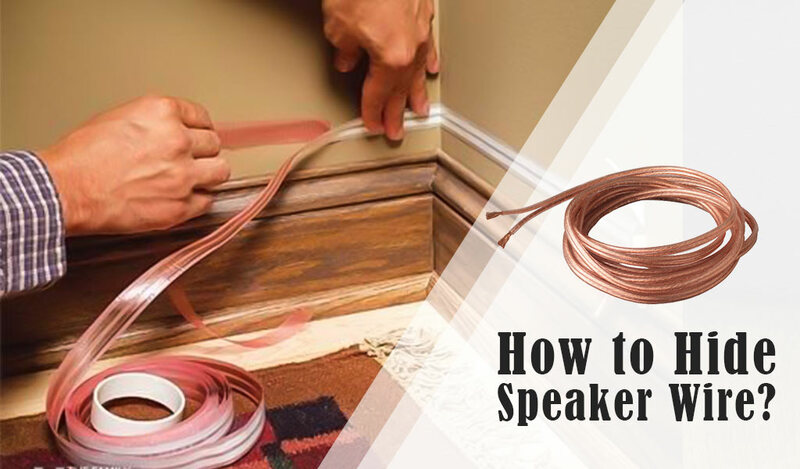 Always check the wire connections and make sure they're compatible with your TV or other multimedia devices you're planning to use the soundbar with. Give the mechanism more priority than the outlook. To have a good idea about the product, check other user's review. Usually, customer reviews are more helpful than descriptions to be able to judge the product's quality. Try them before using if possible. Though online shopping leaves not much of an option for that. It's wise to purchase from a shop with return policy. Because you can't see what you're getting when it's being bought online. So, if you receive a faulty product, it'll be a complete waste of money unless the shop has a return policy. Well, I actually even doubt if people still consider buying those 'boxes', 'cause they're so out of style. We live in the era of flat screen. Yeah, flat screens, flat screens everywhere. You actually have to thank the inventors for this tremendous creation because these flat screens have brought the theater right inside our home. But however, there's a tiny error in the 'creation' that has spoiled the fun for the most of us. To make the screen flat, they had to get rid of standard sized drivers and the drivers those televisions feature instead, oh boy, could they get any worse. You can't even hear the dialogue clearly, let alone all the chilling and thrilling sound effects. The arrival of soundbar has been a blessing to the viewers since it takes the sound from the TV and boosts it to give us the experience we've always craved for. Soundbars feature several drivers and they're constructed following the standard method in order to deliver the original vibe. Moreover, since separate drivers are used; trebles, bass and mid-ranges are distinguished and thus, are pretty clear. So, in order to hear the sound clearly and in a satisfying volume, to get all the feel of watching a certain genre, you must add a soundbar to your system. The television isn't enough. Steak is good itself, when perfectly done. But what makes it extra-delicious? Good seasoning! It may sound funny, but soundbar is just like that seasoning. Soundbar's actual purpose is not to 'produce' sound, it's actually intended for 'boosting' it. Whether the sound of your DVD player, television or stereo system is 'fine', connecting them to a soundbar can make it 'excellent'. Soundbar only features drivers and radiators to distinguish different frequencies and deliver their most spontaneous frequencies separately. So the sound is bound to be better. If you can't plug it with something, no problem! These days, almost all the soundbars come with a Bluetooth connection, so you can easily stream your favorite song from an iPad, a smartphone or any other Bluetooth enabled device. Yes, there was this one time, when Disney Channel was good, Michael Jackson was alive, Cartoon Network still had its old logo and our Televisions looked like some heavy treasure chest……..or giant microwave oven, you decide. Now the table has turned and things have changed, and so has our TV. To be honest, in last couple of years, all the houses I’ve visited (of my relatives and friends), I’ve seen slim screens everywhere. Yes, it’s been said, Slim TV it is, those old giants are literally dead. And why shouldn’t they? These flat panel digital TVs have brought the theater-like experience right at our home! Amazing picture, wonderful details! No wonder people pass on a Saturday night out just for binge watching new shows on Netflix. However, no matter how much the display quality has developed, one thing has dropped unfortunately and that’s a MAJOR drawback. Yes, I’m talking about sound quality. Remember, in 2016, how everybody freaked out when Apple got rid of the headphone jack? Well, this was new for smartphone users that time, but ‘Modern Televisions’ started the similar thing way before that. Nowadays, manufacturers’ main headache is this, how can they make it slimmer? Like, if it was possible, they’d get rid of the screen as well. (Well, it may happen in distance future, who knows?) To make it skinny, they’ve reduced the size of units and drivers, and that’s where the problem started. The speaker modern day television features are not quite what you can call a speaker. To fit it to the flat attire, they’ve cut some slack here too. And the consequence? These speakers don’t have what it takes to produce quality sound. The driver’s specs have totally been ignored. They’re equipped with small, low powered, poorly engineered components and the outcome is pretty vague. Let it be a dialogue, some explosion in an action movie, a music video, or spooky background music of a Stephen King movie – you can’t enjoy anything because of the disgusting sound quality. And it’s not just poor component engineering. Designing has also failed terribly. Speakers of modern televisions are always placed in disappointing places, like downwards or faced towards the wall. You can’t expect something coming right towards your ears, let alone a good surround sound effect if they’re faced in the wrong direction. And this is why soundbar was invented. To compensate for those speakers’ incapability. Soundbar is kind of an everything-is-at-one-place package. What do you need for good sound? Some drivers that work to produce distinct and detailed frequencies. Soundbar features those drivers, sometimes tweeter, super tweeter and mid-range drivers particularly. And it also includes a unit for bass, since this is the main attribute for loud sound. Sometimes there’s a subwoofer to enhance the bass quality. With all these things crammed in one place, a soundbar is manufactured. Oh, this is not it. A lot of soundbars have an amplifier to amplify weak signals. Many companies introduce brilliant technologies (often of their own) to add more thrill, improve the effects and create an atmosphere for surround sound. After purchasing a soundbar, you have to connect it to the TV. There is no specific way for this. It can be AUX, RCA, Bluetooth or some other medium. Once it’s connected, all you gotta do is just start playing. Everything inside the bar will do their part and you’ll get what your TV couldn’t give. Yeah, the choice that everyone comes across and gets stuck at one point. Admit it, it’s hard to choose, both have their advantages and disadvantages. However, our suggestion is, stick with soundbar. You shouldn’t pick a soundbase because they’re out of style. C’mon, we’re not trying to be rude, this is the harsh reality. TV manufacturers introducing something new every day and soundbases somehow aren’t being able to keep up with these ‘surprises’. Moreover, nowadays people tend to mount their TV instead of putting somewhere. And these bases have nothing to offer for your wall-TV. Again, let’s not mention size. Day by day, TVs are growing wider. It won’t be surprising if in near future, people start building theater venue in their home to fit their big screen-like televisions. Soundbases can’t hold big TVs and that’s why there’s no point of choosing them. Besides, what’s the purpose of purchasing this again? Greater sound quality, right? Guess what, soundbar performs better than pedestal soundbar/soundbase. The bass quality of soundbase is pretty weak and it doesn’t cope well with additional subwoofers. Soundbar takes less space than sound base. Soundbases are wider and thus need bigger area for placement. You don’t have to worry about bigger space with a soundbar. Surround sound makes the biggest difference. Pedestal soundbars don’t have a good arrangement for this, whilst soundbars are very dedicated to bring the best 3d surround sound effect. When you want theater-like experience, surround sound is mandatory. Another reason why the soundbar comes first. Soundbars are engineered with greater amplification technology. Audio sounds richer when played via soundbar. Soundbar isn’t out of style like soundbase. Its features are compatible with all modern TVs and undoubtedly it will remain this way even in near future. One more remarkable reason why soundbar is better than soundbase. You can’t mount soundbase, it always requires a top. Plus, it’s impossible to mount something heavy like this. But you can mount a soundbar if you want to. You might have noticed, soundbars come in different sizes. It says in lots of soundbars’ descriptions, ‘This is 38 inch, this one is 42’ and so on. Now the questions acutes, does the size really matter? Sometimes, yes, other times, no. As we already know, soundbar features a bunch of drivers in order to produce rich sound. Lots of soundbars include a number of specific drivers to ace in a particular field, and these soundbars don’t stop at one place. They do it for all the fields, to make sure that you get a pleasant performance. However, for accomplishing this goal, they have to expand their size and thus those soundbars grow longer. But, longer soundbar doesn’t always mean a package of quality drivers. Sometimes manufacturers stretch them for a good outlook and they don’t have much to offer compared to many other shorter bars. So, don’t get excited at first, check the specs to see what it offers and then decide. Again, it’s better to choose a length that goes well with your TV size. Now, if you consider cheap soundbars, the channels you’re gonna usually come across are 2.0 and 2.1. 2.0 channel is gonna offer you the combination of two stereo speakers, where you’ll get an extra subwoofer with 2.1 channel system. For cheap soundbars, 2.0 and 2.1 channels are the best options available. And some of them do deliver stunning performance. To be true, these channels are enough for great TV sound (movies, TV shows, news). However, if it’s possible to go for higher channel, because some 2.1 channel systems do volunteer for good surround sound, but you have to go higher for its true experience. Apart from 2.0 and 2.1 channels, the other available channels are 5.1, 6.1 and 7.1. Among all these three channels, the most significant change is evident in 5.1 speaker. Left and right speakers are already included, accompanied by a subwoofer. 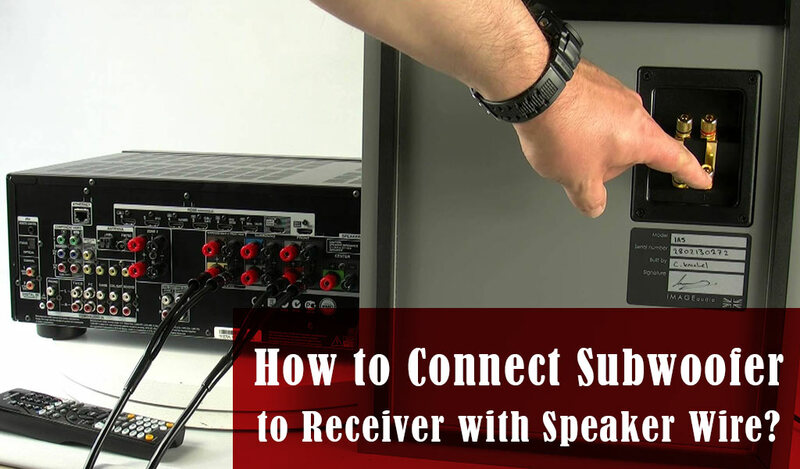 A center speaker is introduced that works mainly for speech clarity. And other two speakers are located in the back. These placements are made to create an ideal surround sound effect. There isn’t any particular change in 6.1 and 7.1 speakers. The only difference is, 6.1 system features one and 7.1 features two more speakers than 5.1 system. The sound gets stronger and more detailed as the number of speaker increases. Well, we have only one thing to say, just because most soundbars under 200 feature 2.0 and 2.1 system, doesn’t mean they don’t deliver good sound. Most systems deliver quite rich audio and they’re enough for watching TV. Driver quality isn’t everything for good sound, it depends on included techs as well. For a decent TV watching experience (specially movies), Dolby Digital sound technologies are recommended. DTS is devoted to emit virtual surround sound effect to bring you theater-like experience right at home. Apart from Dolby digital, every company have some patented technologies of their own which are included to cover for the drawbacks of featured speakers. These technologies are always mentioned in product descriptions. Always look up the description to learn about the technologies that are introduced for better performance. Soundbars are made slim. Their slim attire isn’t quite in the favor of producing bass frequencies because there isn’t sufficient arrangement for that. That’s why most soundbars can’t produce strong bass like treble or mid-range. However, this is not an absolute fact. Some soundbars do include dedicated bass reflex tube, booster or subwoofer of their own that performs brilliantly. But if it’s not the case for your soundbar, you should definitely bring an additional subwoofer home. Speaker sound is never enough without good bass. Soundbars feature both wired and wireless options since both of them come handy time to time. If a soundbar says ‘it can operate via wireless connection’, there’s an obvious chance that Bluetooth is being mentioned. Every soundbar primarily uses Bluetooth for wireless streaming. A few soundbars run on NFC or Wi-Fi. NFC is quite helpful if we’re talking old TV models here. Wi-Fi is better than Bluetooth but isn’t quite a familiar option yet. For wired connection, more options are available than wireless mediums. AUX, USB, RCA, optical – you name it! AUX is often featured because it’s the most common medium. However, since we’re talking about TV here, our best choices are RCA and optical. Why? Let us explain! RCA is always featured in TV and other A/V devices. It’s easier to connect to TV via RCA connectors. Moreover, AUX isn’t common in flat panel TV. And if you’re thinking of making the soundbar the part of your home theater system, you should go with optical and HDMI input. When you’re going for optical, all you have to do is link all the drivers directly with TV and then connect the TV to soundbar using optical connection. In this case, the TV functions as a switcher. If your TV doesn’t have enough ports for all the drivers, you have to add an HDMI switcher to work this out. Soundbars can be placed anywhere. You can place it on the top of a furniture, a stand, anywhere below your TV or just simply mount on the wall. Now, some soundbars feature bracket, kit and keyhole slot for mounting. But there are few other soundbars as well, that have nothing in this regard. For the one without mounting kit, you’ll have to make a separate purchase for kit if you want to mount it on the wall. If you’re thinking of putting it on the top of something, don’t forget to check a few things. Like, make sure that there’s enough space for placing it and it mustn’t block the view or signals of remote control. Some soundbars feature built-in IR repeater so that you can control the TV with your soundbar. If it doesn’t feature any and the signals are getting blocked because of the placement, bring an additional IR repeater. So, here we are. These were the things that should be known by everybody to make the right purchase. We hope you got everything in one place. Now, as you’re fully prepared to make the choice. What do channels stand for? Ans. Whenever you're looking for soundbars, you often come across the terms like 'this is a 2.0 channel soundbar'. The number at the left side of the redix point (.) represents the number of stereo speakers the soundbar includes and the number situated at the right represents the number of subwoofer. For example, when it says 2.1 channel soumdbars, it means the soundbar has two stereo speakers and a subwoofer. Should a soundbar always require a RCA connection for connecting to a TV? Ans. RCA connection is generally chosen to establish a connection between the TV and the soundbar, but since modern televisions come with several other options, RCA connection isn't mandatory. But if your TV requires one certain connection option, then it's a whole different story. Most soundbars today bound to have a bluetooth connection. Is it mandatory? Ans. No, it isn't. 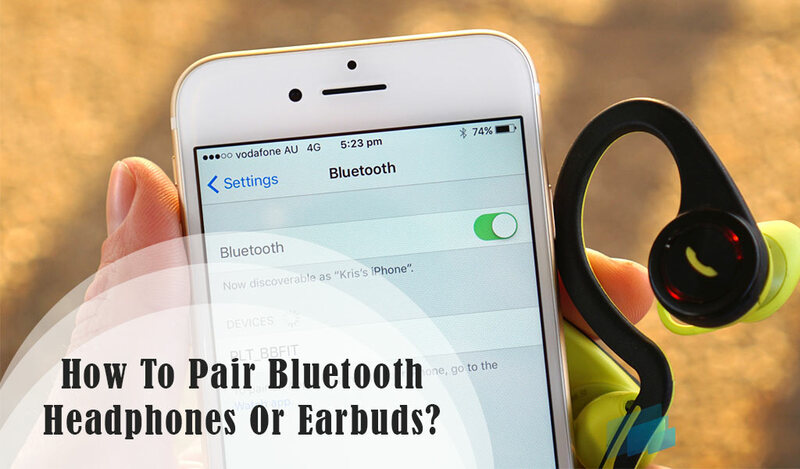 Bluetooth connection gives you a chance to stream your favourite music or audio files from a Bluetooth enabled device without the help of any wire, that's why it's so popular. But if you're okay with just wired connection, that's fine too. Anyway, don't you think it's better to have both? Do we always need an additional subwoofer with the soundbar? Ans. It's not always necessary. Some soundbars feature their own subwoofer or radiator to deliver bass, so you don't need an extra if that's the case. Otherwise, additional purchase is an obvious choice. However, it also depends on the user. 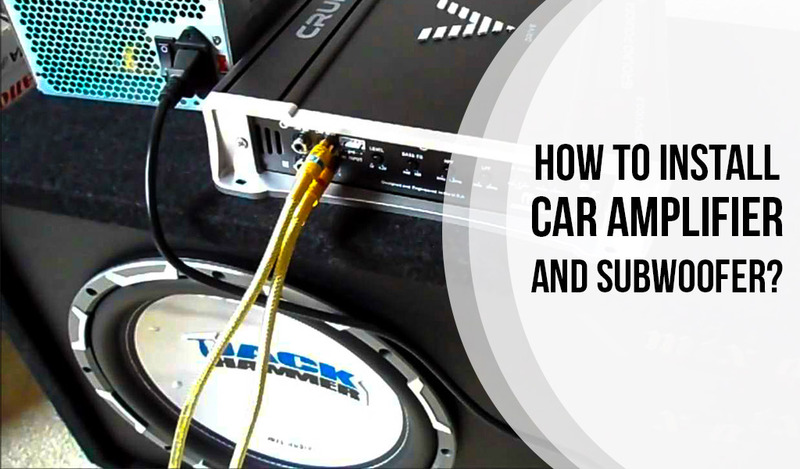 Many customers don't find the built-in subwoofer's performance satisfying, so they add an extra subwoofer as a boost. Can anybody mount it on the wall? Ans. With proper guidance, skills and templates, yeah. For user's convenience, most modern soundbars come with certain tools and templates that are enough for anybody to be able to mount it on the wall. And, if you actually pay proper attention to the instruction manual, with skills, it's not that hard. However, good templates or following the instructions properly isn't helpful for everyone. In this case, you may see a professional. Does the weather have any impact on the soundbar? Ans. It actually has. The clothing or the diaphragm can be affected seriously by the weather. 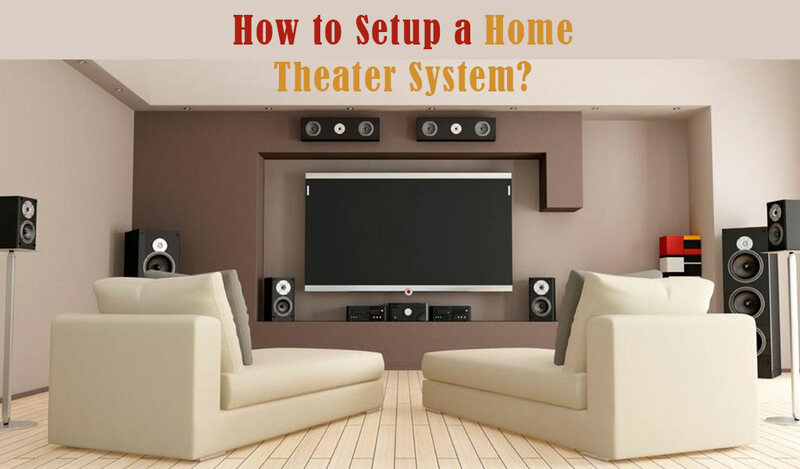 You should take extra care of your whole home theater system in a humid or damp weather. Do I need a soundbar with HDMI? Ans. No, it's not mandatory. What is a full-range speaker? Ans: A full-range speaker is the speaker that covers for as much frequency as possible. 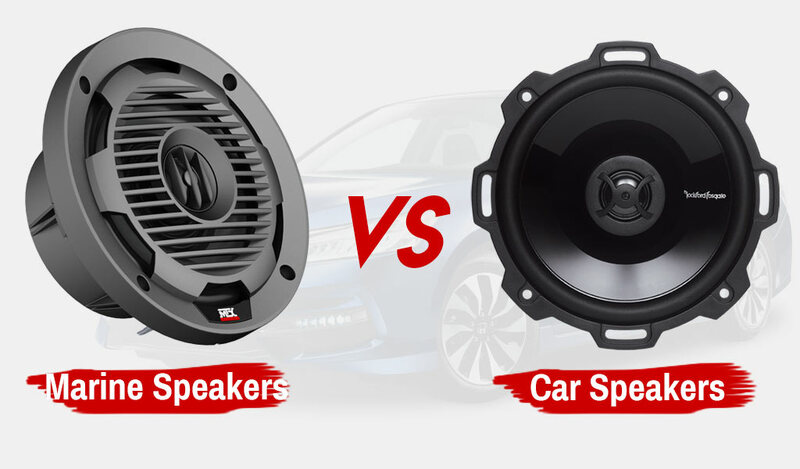 In other words, the speaker with wider frequency response range is known as a full-range speaker. What is the difference between 2.0 channel and 2.1 channel system? Ans: There are not much differences between these two system. 2.0 channel system consists of two stereo speakers. A subwoofer is added with these two speakers in 2.1 channel system. How does frequency response range work? Ans: The frequency response range we see in the description of speakers, tell us how many Hz those speakers are capable of covering. The first number of the range depicts the least of low end and the last number depicts the highest of treble. 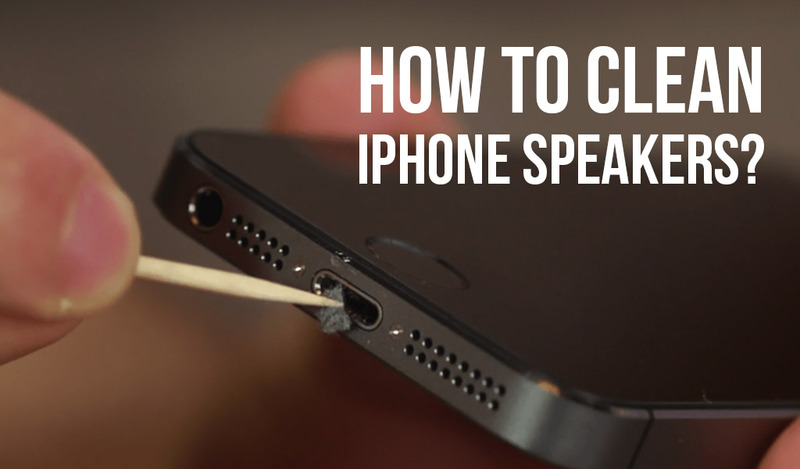 In this way, you can learn how detailed, clear and good the audio is going to sound with a specific speaker. Ans: RCA is a type of electronic connector that is used for transmitting audio and video signals to TV. 5. My soundbar doesn’t have a wall-mounting kit. What should I do now? Ans: If it doesn’t have a mounting kit, there are two options for you. You can either purchase a separate mounting bracket for this or if you happen to own a flat TV, check its back. Most flat televisions include a soundbar mounting slot. So, here we are in the end. We understand the online shopping experience is quiet different from the usual shopping experience. Sometimes it's hard to find the right item since there's nobody here to suggest you a good piece and you can get pretty lost in the crowd. To get you out of the wreck, we put on a little effort here with some purchasing tips and a few suggestions of good products. Hope, everything worked out for you just as you expected.